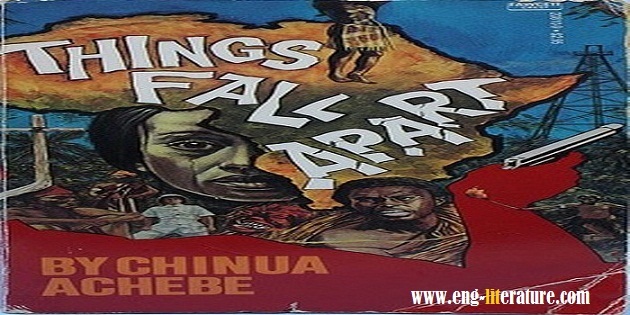 E-book Download Download Chinua Achebe's Stunning Novel "Things Fall Apart"
Download Chinua Achebe's Stunning Novel "Things Fall Apart"
Nobel Laureate, Achebe’s novel, Things Fall Apart is regarded the alpha of Anglo-African literature. It is the book that brought the story from the ‘Dark Continent’ through the voice of an educated African through which he showed the conflict between African values and the advent of Christianity in Nigeria. First published in 1958 – the year after Ghana became the first African nation to gain independence, as Britain, France and Belgium started to recognise the end of colonialism in Africa and began their unseemly withdrawal – Chinua Achebe's debut novel concerns itself with the events surrounding the start of this disastrous chapter in African history. Chinua Achebe's Things Fall Apart is a beautiful novel - as an extended metaphor for African despoliation, life and politics it works wonderfully. Beautiful is, perhaps, a strange word to describe this essentially melancholic novel but whilst Things Fall Apart is a sorrowful affair it is never a despondent one. The scenes from the life of Nigeria's Ibo society are painted with an assured, uplifting clarity and they resonate brightly - and long. Okonkwo is an excellent, wonderfully human, central character: strong; headstrong; wilful; proud. A traditionalist, he is acutely aware of the pitfalls of forgetting the past but he is blind to the absurdities, cruelties and sheer backwardness of certain of his tribe's customs and of his own, sometimes outrageous, actions. Okonkwo is an ambitious man within the Umuofia clan of the Igbo tribe. Determined to be a lord, he observes its rules, even the harshest of them, though that observance will eventually drive away his own son. Achebe guides us through the intricacies of Igbo culture, its profound sense of justice, its sometimes murderous rules, and its noble and harmful machismo. By the time the British colonial administrator arrives towards the end of the book to dismiss the natives as savages, we know how profoundly mistaken that word is. Everything that Okonkwo holds dear becomes threatened after an accidental shooting. Okonkwo must flee with his family from his beloved village for seven years, losing the life that he worked so hard to gain. He gets through his seven years of exile only to go back home and discover that everything has changed. White missionaries have come to convert Africa to their ways. It portrays the collision of African and European cultures in people’s lives. Okonkwo, a great man in Igbo traditional society, cannot adapt to the profound changes brought about by British colonial rule. Yet, as in classic tragedy, Okonkwo’s downfall results from his own character as well as from external forces. Achebe’s is an essentially melancholic novel and an extended metaphor for African despoliation, life and politics. Things Fall Apart is a sorrowful affair but not a despondent one. The scenes from the life of Nigeria’s Igbo society are painted with an assured, uplifting clarity and they resonate brightly - and long. Okonkwo is an excellent, wonderfully human, central character: strong; headstrong; willful; proud. A traditionalist, he is acutely aware of the pitfalls of forgetting the past but he is blind to the absurdities, cruelties and sheer backwardness of certain of his tribe’s customs and of his own, sometimes outrageous, actions. Achebe shows how African cultures vary among themselves and how they change over time. Things Fall Apart translated into 50 languages, taught in high schools all over the world, was the first ‘African’ book that was written with the real voices of Africans, hence giving a correct representation of the real Africa. He wished to teach his (African) readers that ‘their past â€¦with all its imperfections â€¦ was not one long night of savagery from which the Europeans acting on God’s behalf delivered them’. The first part of a trilogy, Things Fall Apart was one of the first African novels to gain worldwide recognition: half a century on, it remains one of the great novels about the colonial era. This book sings with the terrible silence of dead civilizations in which once there was valor.